You will love our handmade ivory invitations. The perfect invitation kit for Weddings, Anniversaries, Showers or Birthdays. A sheer ivory ribbon ties together the handmade paper and sheer vellum overlay. Your wedding or party invitation and accessories set the tone for your special event firmly establishing your style and taste. It is the first official message about the event, which a guest will receive from you, so make it special. If this is a wedding, begin by determining whether you and your groom want a formal, traditional or more contemporary style wedding and make your invitation selection accordingly. 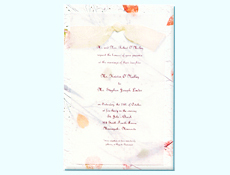 The traditional invitation is elegantly simple usually in black ink printed on a heavy white or cream colored card. The card may be either flat or folded with the printing traditionally on the front. The formal couple who loves tradition will find a wide array of suitable papers, plain or variously paneled, and be able to distinguish their personal style through the large selection of beautiful typestyles. If you choose a more contemporary invitation, you have an immense selection of exciting possibilities. Many contemporary couples love the freedom modern invitations give to tailor the invitation uniquely to their personalities. If you have a theme or color scheme in mind (Garden Tulips, Gold, Silver…), look for invitations that echo this. Last, but not least, determine your budget. Remember to include reception cards, response sets and thank-you notes (informals) in your calculations along with additional trousseau items like place cards, table cards, menu cards and so forth. Order your invitations as soon as your date, time and place have been confirmed. Three to six months before the ceremony is what most expert planners suggest. The more time you give yourself, the less harried you’ll feel and the more carefully you’ll make decisions. Give yourself or your calligrapher at least a month to hand address, assemble, and stamp the invitations and reply envelopes. Look for a printer or on-line dealer who offers CheckMate™ Preview technology so that you can see an actual copy of your invitation – with all your custom changes – before you order. CheckMate™ lets you personalize the invitation of your choice with your own wording, ink color and lettering style, and then shows you an actual copy of your creation almost immediately! If your store does not offer CheckMate, ask the staff to request a paper proof from the printer before the ensemble is printed. There is usually a charge for each proof you order and it takes a few days to a week to receive. If you don’t like what you see, you’ll need to make changes and order another proof. To calculate the number of invitations to order, count one invitation for each of the following: a) couple (married or living together), b) family with children under 18, c) each child 18 years old or older and still living at home, d) single guest, e) fiancée/fiancé of a guest, and f) invited boy-or-girl friend of a guest. For example, in a house with one set of parents and five children (one child 17, one 14 and three children 18 and older), four invitations would be sent. One would be sent to the parents with the name of the 17 year old and the 14 year old on the line below the parents’ names (on the only envelope if using a single envelope or on the inner envelope if using a double envelope set), and one each to the three siblings 18 and older. After calculating the number of invitations as noted above add approximately 25 invitations to your order: 10-12 more for keepsakes, plus extras for the last-minute guests (and there will be last-minute guests.) Reorders later can be costly. Also, depending on how large your order is, add 25 to 50 additional envelopes** in case of mistakes in addressing. Most established wedding planners agree that you should plan to mail your invitations six weeks before the wedding. Make sure you have one completely assembled invitation weighed at the post office to determine the correct postage. When you return with your invitations stamped and ready for mailing, ask to have them hand canceled. After all the care you put into selecting and addressing your envelopes, you’ll want them to arrive in pristine condition for your guests’ full enjoyment. Punctuation is not used at the ends of lines (commas, periods, colons, etc. ); however, commas are used within lines to separate the day from the date, the city from the state and a man’s surname from "Jr./junior/II/III", etc. No abbreviations are used. Either spell out a name or leave it out: "Mark Claude Manet" not "Mark C. Manet." Also, "Road", "Street", "Avenue", "Reverend", "Doctor", and all military titles should be spelled out. Exceptions are: "Mr." and "Mrs." Many etiquette specialists prefer that "junior" be spelled out. When it is spelled out, the "j" is not capitalized. If both Mr. and Mrs. Smith are doctors, they can be referred to as "The Doctors Smith." Be consistent with your usage of "honour/favour" or "honor/favor." Traditionally the formal, British spelling with the "u" is preferred in proper wedding etiquette but whichever form you choose, use it in both words. It is considered socially incorrect to write, "no children please" on the invitation or any part of the wedding ensemble. "Black tie" does not traditionally appear on the invitation. If the event takes place after six o’clock, your guests should assume that it is a formal event. If you are concerned, however, you may write "Black tie" as a right footnote on your reception card. Note: the "B" in "Black tie" is capitalized, but not the "t."
It is considered extremely socially incorrect to make any mention of gifts on invitations on the theory that we should expect nothing from our friends except their presence, therefore never list where you are registered, the name of a charity for donations or your desire for money rather than presents. The only slight exception to this strict rule is for shower invitations where it is permitted to list the theme of the gifts ("Linens", etc.) but never where one is registered or any mention whatsoever of money. Begin with the full, formal name(s) and title(s) of the event sponsors. These are not necessarily the people who are paying for the wedding. While the bride’s parents traditionally sponsor a wedding, anyone can be a sponsor, including other relatives, the groom’s parents, or the couple themselves. Following the name(s) is the phrase "request the honour of your presence" for a service held in a house of worship. 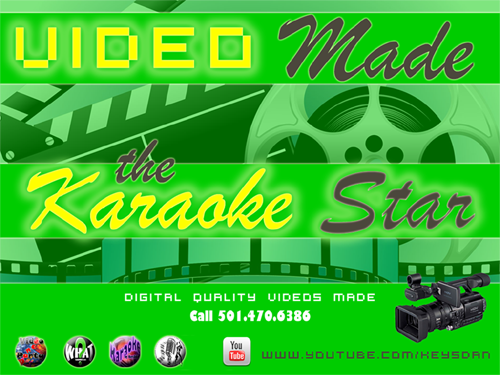 The variation "request the pleasure of your company" is used for a wedding held in any other location. The next line reads "at the marriage of their daughter" or whatever the relation is between the sponsor(s) and the bride. The bride’s full name follows but often excludes her surname. If her last name is different from the sponsor name or both sets of parents are doing the inviting, include it; otherwise, omit it. If you use optional personal or professional titles (Ms., Miss., Dr., etc. ), then include her last name. Generally "to" is used on the line separating the bride’s name from the groom’s. The exception would be the use of "and" when both parents are doing the inviting or for a Nuptial Mass. The groom’s full name – first, middle and last-is next. If the bride uses a personal or professional title, so should the groom. On the next line, spell out the day and date with the spelled-out number inverted before the name of the month and a comma separating the day from the date: "on Saturday, the first of May." Using "on" before the name of the day is optional but if you do, do not capitalize the "o." Listing the year is optional. If you choose to do so, it appears on the line following the day/date line. Only the first letter of the first word of the line is capitalized: "The year two thousand" or "Two thousand and nine." On the line after the date comes the time. List this spelled out: "at six o’clock" with the word "at" preceding the time. You do not need to put "in the morning" or "in the evening" since it should be obvious but you may if you would like to and must if it is not obvious (for example, a sunrise wedding "at six o’clock" would be more likely to get people there on time if you said "at six o’clock in the morning"). In any case, never put "a.m." or "p.m." on a formal invitation. The name of the place goes on the next line: "Grace Cathedral", "The Belser Arboretum" or simply the address if the wedding is in someone’s home. Listing an address for the place is optional (unless the wedding is in someone’s home). If you do include it, place it on the line immediately below the name of the place. Generally the last line lists the city and state, separated by a comma: "East Greenwich, Rhode Island." Note that you never put a zip code here. If you are not using reception cards, you may include the information here as the last line of the invitation: "Reception immediately following", "Reception to follow" or "and afterwards at the reception." These sentences indicate that the reception is in the same place as the wedding. If it is not, reconsider ordering reception cards so that the important wording of your invitation will not be reduced in point size to accommodate the several extra lines of the reception information. If you are not using response cards and envelopes, in the lower left hand corner include "The favour of a reply is requested", or "R.s.v.p. ", and a response address; however, if you have a reception card, put the R.s.v.p. corner line there in order to leave the invitation uncluttered. Note that properly only the "R" in "R.s.v.p." is capitalized since this is an abbreviation for a French sentence, "Répondez s’il vous plaît." Likewise, since the sentence means "Respond please", never say "Please R.s.v.p." since that would be redundant. The divorcee uses a combination of married and maiden name. A handy way to inform everyone of your new address and the date you expect to begin residing there. These can be sent with a wedding invitation or wedding announcement. If the woman is changing her name in the customary fashion, names are not listed. If she is keeping her name or hyphenating it, this card is a good place to announce that by listing the woman’s name in full on the first line and the man’s name in full on the second line. Menu cards provided at the reception describe the dishes you have selected – a nice touch. If you are planning assigned seating at your reception, put a place card handwritten with each person’s name at the place you have designated. These preprinted notes are sent at least three months (but preferably six months to a year) before the wedding date and are invaluable if you plan to invite long-distance guests. Announcements let you share your news with friends, distant relatives and colleagues that are not invited to the wedding (you can’t invite everyone!) They should never be sent to those who have received an invitation to the ceremony or reception and should be mailed right after the wedding (never before.) Your announcement should look and read like your wedding. Instead of requesting the honour of their presence at the marriage…however, you would say "have the honour of announcing the marriage…" The only enclosure would be the "At home" card. When inserting a foldover invitation into an envelope, the fold goes into the envelope first. Insert the basic components of the ensemble into the envelope (inner envelope for those items with two envelopes) in the following order from bottom to top: Invitation, reception card and respond set. Place the respond card face up on top of the respond envelope, which is face down, with its flap overlapping the respond card (see diagram 3). Accessories are never inserted inside a foldover invitation. Remaining pieces (directions, accommodations, within-the-ribbon, etc.) are usually layered on in ascending order of size from largest just above the respond set, to smallest on top. If your item comes with two envelopes, write the names of the guests, including children, on the front of the inner envelope using only the surname prefaced by Mr., Mrs., Dr., etc. Insert the inner envelope into the outer with the names facing the flap of the outer envelope. The inner envelope of a double envelope set carries only the last name preceded by titles (Mr., Mrs., Doctor) of the primary person or couple being invited. There are no addresses. Invited children’s first names appear under the parents’ names. (Invited children over 18 or older still dwelling with their parents should receive separate invitations.) If you are allowing single people, who are not dating anyone in particular, to bring a guest, you would say so on this inner envelope by adding "and guest" to their title and surname. If you are using a single envelope, you must put this information on the outside of the single envelope by adding the children’s names below the parents’ names or the "and guest" line beside the single guest’s name. Remember! Before purchasing stamps, have one fully assembled invitation weighed at the post office to determine proper postage. Don’t forget to purchase stamps for the respond envelopes as well. If you wish to encourage a single friend to invite a guest, find out the guest’s name, especially if the couple is engaged, living in the same house, or seeing each other on an exclusive basis. If they live at different addresses, it is considerate to send an invitation to the guest directly. If you wish to encourage a single friend to invite a guest, you should learn the name of the guest, especially if they are engaged, living in the same house, or seeing each other on an exclusive basis. If they live at different addresses, it is considerate to send an invitation to the guest directly. A decoration or ornament applied to a larger surface. A Checkerboard brand exclusive, these beautiful envelopes are custom-made for Checkerboard's slender, vertical invitations. They feature a squared flap on the narrow end of the tall envelope and are available only as Single Envelopes. Used to indicate that an edge is slanted (not at a right angle). Same as "embossing" defined below, only blind embossing uses no color of any kind other than the color of the paper itself. Literally this simply means "beautiful writing" but today is used to mean wording created by hand, not with typesetting machinery. Many of our elegant invitations utilize calligraphy as part of the design. The traditional set of two envelopes used with formal invitations and announcements. The Outer Envelope is addressed to the guest and has the senders return address printed on the back. The inner envelope, with the invitation and accessories, is placed inside the outer envelope so that it arrives in pristine condition. The inner envelope carries only the guests' names. Since the Inner Envelope is thought of as the primary envelope because it holds the invitation directly, this is the one that will be lined if you choose a liner. The Inner Envelope is not gummed, therefore is not sealed shut. Raising in relief from a surface. In printing, to press paper into the cavities in a metal die leaving three-dimensional words or designs on the paper. Embossing can be combined with Foil-Stamping or printing methods using ink. A fashionable term from French to indicate something made to look like it is something else. Literally this means "false." Colored foil heat-stamped into the paper. Foils usually have a metallic finish in either matte or high gloss. Used to indicate paper that is folded either at the top or along the left side. On a traditional, side-fold invitation, the wording is printed on the outside cover with the inside right and left panels entirely blank. If decoration is on the cover, the wording is printed on the inside right panel of a side-fold paper and the bottom panel of a top-fold. One item, “Under the Chuppah” is tri-fold with a fold on the right and left sides allowing three panels of printing when fully opened. Another, “L'Amour”, is folded twice from the bottom, then opens from below to reveal vertical printing along the entire inside. The font refers to the style of lettering, also called "typestyle", or "lettering style." Custom-made for the Checkerboard brand's slender, vertical invitations, these uniquely beautiful envelopes feature a stunning, long, pointed flap on the narrow end of the tall envelope. French Flap Envelopes are available only as Single Envelopes. Generally used to indicate layers of paper tied or glued together. If the top layer is translucent parchment and the lower layer is decorative, you see a muted version of the lower layer through the parchment. Decorative papers used to line the inside of an Inner Envelope or a Single Envelope. Some brands honor the age-old craft of lining envelopes by hand and line the full length of the envelope. Also called "leading", this refers to the space between the text lines. During the customization process, you can increase or decrease the space between the lines by clicking on the line spacing link on the customization pages. Technical term for what many people call flat printing. Lithography creates watercolor effects and pale background designs. The ink is literally flat with a matte finish. A decoration using the initials of a name. When the middle letter of a person's monogram is larger than the side two, the sequence of initials is first name on the left, surname in the middle, then middle name on the right. When all letters are the same size, the sequence of initials from left to right is first name, middle name, then surname. If you are combining the bride's name with the groom's, you must use the format with the middle letter larger. In this case, the sequence of initials is the bride's first name on the left, mutual surname in the middle, and the groom's first name on the right. A raised section of the paper created by pressing the middle section where the words will be printed down leaving the raised area looking like a frame or matt. Alternately, the term is used to indicate pages facing each other such as on a tri-fold invitation which, when opened fully, has a left panel, middle panel, and right panel. A translucent paper made to look like the original parchment. This lovely paper adds a softening effect to any invitation and can be used either singly or as a layer. Other companies may call this paper "vellum." A single envelope with a gummed flap into which the invitation is slipped directly and then sealed shut. Single Envelopes may be printed on the back flap for social correspondence and lined for added elegance. used to indicate a single card without a fold. Any envelope sized to fit a square invitation. Square Envelopes are available only as Single Envelopes. A contemporary printing method using heat and a fine resin to create a rich, raised effect with the ink. A clear powder is dusted onto the flat ink of lithography just after it is printed, then heated to give the raised effect. A decorative design in high relief. A French term meaning "trick/deceive the eye" used to describe a visual effect that looks like something it is not. An opaque, smooth-finish, sumptuous paper. Other companies may use this term to refer to parchment paper (see above). A standard rectangular envelope with the opening along the long side and a squared flap. Wallet Flap Envelopes for invitations are available as either Double Envelope sets or Single Envelopes.